For fashion lovers and brides alike the red carpet has become as exciting as the catwalk, with celebrity gowns now creating their very own trends. As part of its Conscious initiative, H&M has created an exclusive collection of red-carpet looks; all made from more sustainable materials such as organic cotton and hemp as well as recycled polyester. The collection showcases what is now possible in greener fashion, with outfits in different styles reflecting the variety of today’s red carpet fashion. The collection has already been seen on the red carpet. Amanda Seyfried wore the blue tuxedo blazer and shorts at a London première, while Oscar nominee Viola Davis has been seen in the hot-pink sleeveless top and skirt. Kristin Davis wore the apple green embroidered dress to a Vanity Fair event, and Michelle Williams wore an H&M custom-made gold-draped organic cotton bodice with a satin-backed crepe trumpet skirt at this year’s BAFTAs in London. A top and skirt inspired by Michelle’s exclusive gown will be available in selected H&M stores when the Exclusive Conscious collection launches. Ok, so brides think about it…some of these separates will be GREAT for your bridal party. Hint: Brides bring your bridal party with you the day of the sale and let them get their size immediately, because like all their collections…they will sell out quickly! Make it a day of it then go have a great lunch to celebrate! Pleated Mini Dress: Green is the perfect shade for today’s red carpet, especially in an organic cotton blend mini-dress with a cut-out back and flirty pleated skirt. Photo Print Dress: Kaleidoscope colors decorate this photo print dress and matching jacket in a recycled polyester blend. Beaded Maxi: This lemon yellow chiffon maxi gown in recycled polyester has a beaded bodice, combining elegant decoration with classic design. Ultimate Red Carpet: This glamorous evening dress features creamy white organic cotton and silk bouclé at the top, with an organza plissé meringue skirt – available in a limited edition of 1,000 pieces, each individually numbered. I can absolutely see this on a bride this season. The Exclusive Conscious collection, which will be available from April 12 in around 100 stores H&M worldwide, as well as selected looks on-line. Every once in a while a designer comes along whose product I absolutely love and must have. Manolo, Marc Jacobs and now Barr + Barr Handbags. This designer creates beautiful quality, stunning design handbags…I’m a fan for life. The hand-woven details, elegant touches, amazing ‘love-letter lining’ and the hardware are just the beginnings of these handbags superb work and craftsmanship. Ms. Barr wants to, “ Make bags that are beautiful, function and looks great when you enter or exit a room.” She has captured the essence of what a woman truly needs and helps her look good at the same time. 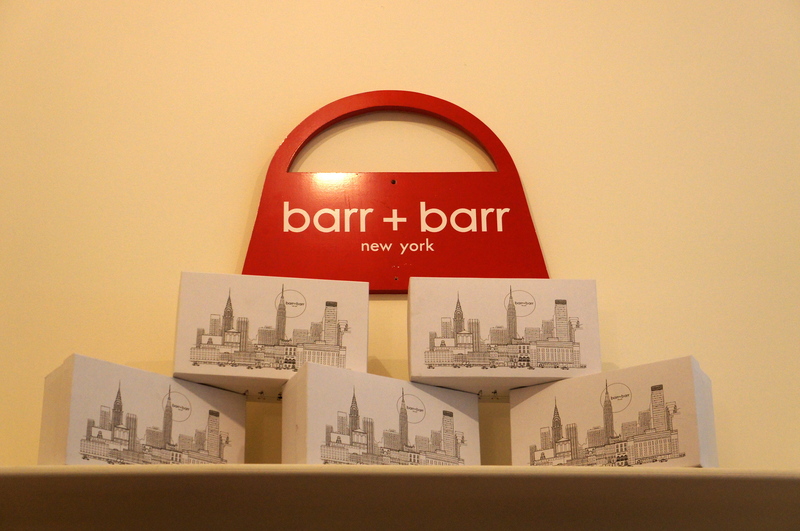 Barr + Barr bags are all 100% leather and even the big bag proportions have a slim profile. That simply means there is no bulky ‘under-arm’ bag feel. Each bag is made one at a time and the love letter lining adds a feminine touch. Going for versatility most of her bags have detachable straps that will take the bag from cross body to underarm to clutch in a snap. There are also beautiful wallets that come in an array of colors and styles also with the ‘love-letter lining’. Beautiful styles and even some great clutches. What words describe Barr + Barr: American, classic-styles and inspired for women everywhere. From InStyle, Town & Country to HSN you’ll find Barr + Barr on the arms of the best dress from the White house, to the red carpet and now you. Disclosure: While Helen and I share the same last name, we don’t know if we are actually related even though it would be pretty cool if we were. She’s a great lady and her bags are HOT, HOT, HAUTE! !